Lulu's Life: How to make your own pressed powders! How to make your own pressed powders! Hi guys! Okay, so today I wanted to share with you how I make custom color eye shadows, highlighters, and well anything powder based! It’s the simplest way to do it and probably the least messy! I promise if you like makeup, you’ll have as much fun as I do making these! Always remember to leave them for at least twenty four hours! Clean containers for mixing. Glass is best. Q tips and cotton rounds for cleaning things up. A new or sanitary Orange stick or a foundation spatula. 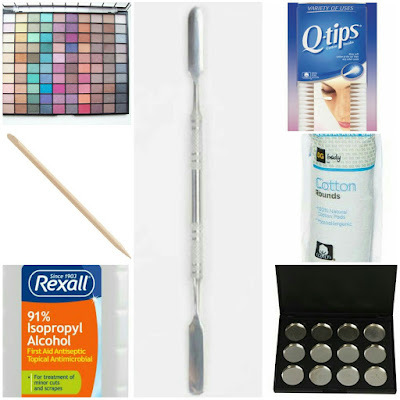 An empty compact, metal pan, or cleaned palette. A clean spoon to help break up the powder. Something to press the powder with. Paper towels, tissues or toilet paper. When it comes to picking the eye shadow or powder your wanting to make, take into consideration if you want matte, frosty or glittery. For well, obvious reasons… You wont want shimmer or glitter in your matte shadow, lol. If you want to make both matte and a shimmery shadow, make the matte ones first if you only have one orange stick. 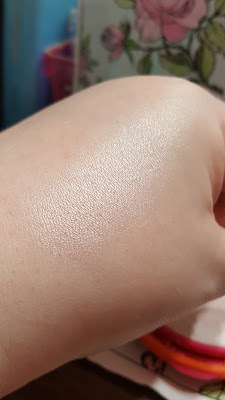 As to not have shimmer in the matte shadow. You want to get everything out and set up on a clean dry table or desk. Wherever you feel like doing it really. Step one! Pick your colors and start breaking them up carefully with the orange stick and put them into the container you’ll be mixing them in. Once you have all of your colors chosen and in the container, continue breaking the powder up so that it’s really fine and mixed up. You can test the color by swatching it, adjust the color how you see fit! Step two! Adding the rubbing alcohol. You want to start with adding a few drops and mixing it in. You need to add enough alcohol to form a thicker paste consistency, you don’t want it so thick that it’s still crumbly yet thin enough to be able to put in the pan you’ll be setting it in. Step Three! Pouring and pressing your powders. Make sure before hand that you clean and wash the pans, palettes or compacts your going to use with some warm soapy water. Dry out everything and give it a wipe down with rubbing alcohol and a cotton round to ensure everything is sanitary. Once you’re ready to put the product in the pan, make sure you do a little at a time, using the orange stick to push the product in the corners. Step Four! Pressing your powders! Find an object that fits the shape of the pan. Sanitize it and make sure it’s dry. Take a paper towel, tissue or toilet paper square (they’re literally all the same thing, just different thicknesses and textures). Put the paper towel and put it over the bottom of what you’ll be using to press it. 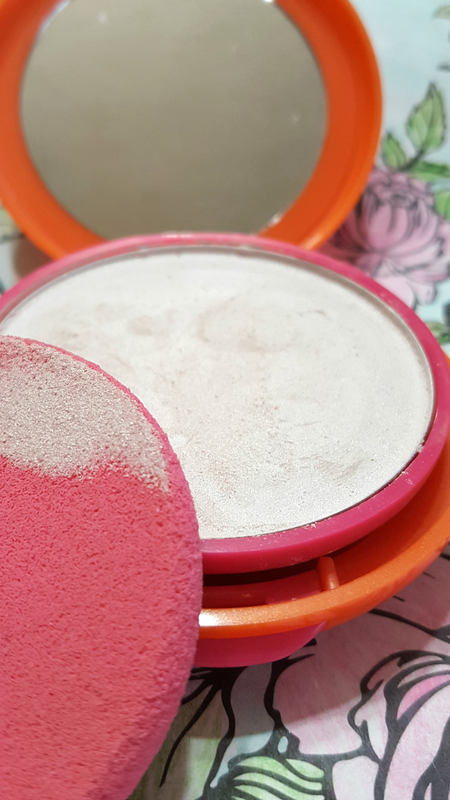 Make sure there aren’t any folds on the bottom of it, you probably wouldn’t want that to show on the top of your powders. Press gently and evenly over the surface to help soak up some of the excess alcohol. Step Five! Now that everything is done, let your needs product sit in a dry clean area for twenty four hours to dry out! Then your product is not ready to use! did enjoy it please share with your friends make sure to leave a comment. Thank you so much for reading.